Every decade has its memorable style. Some are fantastic and leave us wishing to bring those eras back. Others… not so much. The bright rainbow legwarmers of the ‘80s might be a thing we can let go. But, despite the fact that Disco may have seen its dying days, the style of the ‘70s is simply too luscious to let go. There’s no question that a style like yours could not only bring back the Groovy ‘70s but also make it stay. 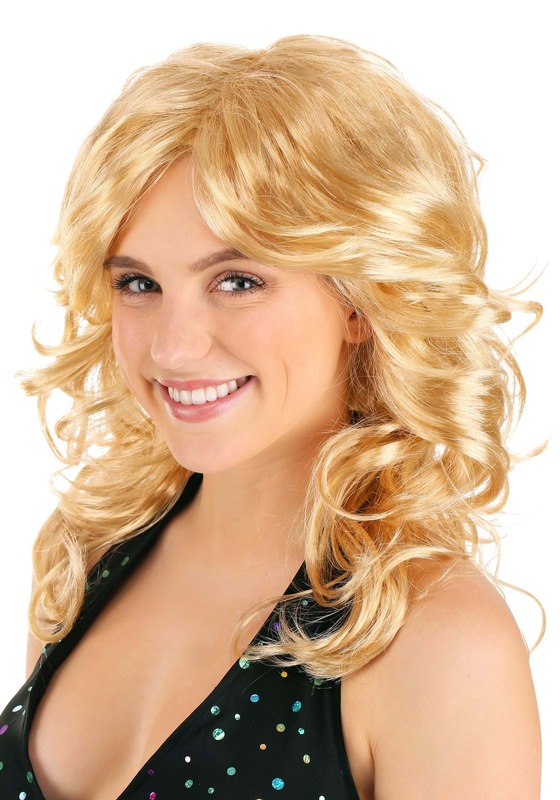 With this wave and curly, feather cut Disco Mama wig, you bring Disco back! The sparkling lights, the night clubs, the music, the dance. The Farrah Fawcett hair! Bring the ‘70s out of the attic and prove that Donna Summer was right: Disco will survive all night and so will your amazing blonde locks!